Former Blue Jays and Phillies pitcher Roy Halladay died in a plane crash off the coast of Florida yesterday while flying the relatively new ICON A5 recreational aircraft, which has been involved in two other crashes since it went on sale in 2014. The ICON A5 is a small, recreational amphibious aircraft, which is capable of folding up for ease of trailer transport. The plane went on sale in 2014, with about 20 existing examples, according to The Associated Press via multiple outlets, including Bloomberg. 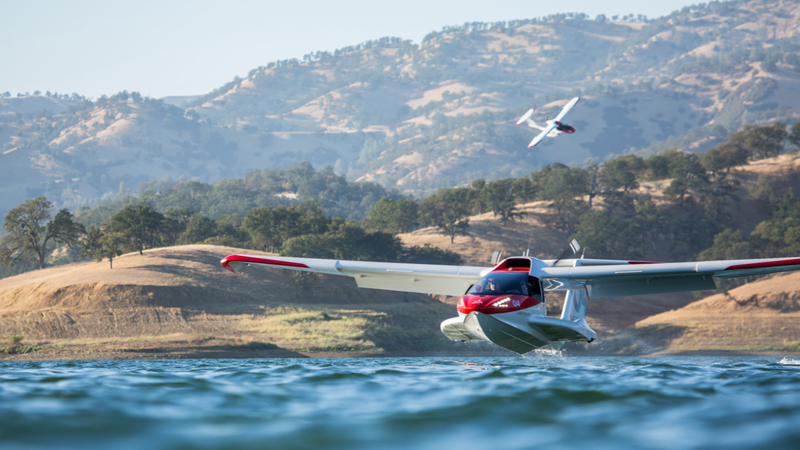 Roy Halladay’s crash yesterday afternoon is the second fatal crash involving the ICON A5—the plane’s head designer, John Murray Karkow, and the company’s director of engineering, Cagri Sever, both died in a crash in California back in May. The subsequent National Transportation Safety Board (NTSB) investigation determined the fatal crash to be caused by pilot error due to the low altitude of the plane, which crashed into a canyon wall. The NTSB will also investigate Halladay’s crash. ﻿Pope said “the plane itself is great,” but he had concerns about Halladay, a new pilot with little flying time, taking the craft out over water at low altitude, though the plane was marketed as a craft that could do that. Video recorded by bystanders and obtained by TMZ just before Halladay’s crash show an aggressive and reckless flight pattern at high speeds and extremely low altitudes. Additional video shows the floating wreckage after the crash. Another ICON A5 crashed just off the coast of Florida back in April. The pilot claimed the A5 descended faster than expected, landing in the water and injuring the occupants. Police recovered Roy Halladay’s body yesterday afternoon and could not yet confirm whether or not there were any passengers in the plane. ICON released a statement offering its full cooperation with the NTSB’s investigation. Editor’s note: The headline has been tweaked to clarify that the first crash occurred in April, and a link to TMZ video of Halladay flying the plane the day of the crash has been included.